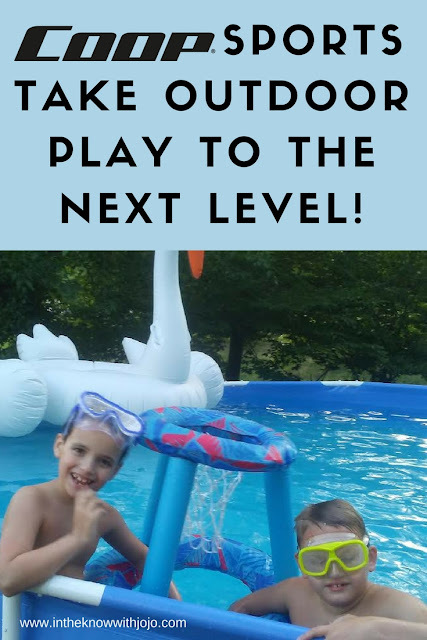 Take playtime to the next level! With COOP Sports it has never been easier to get outside play with the kids and be active. They have such a wide range of new products for night, day and water play that anytime you want to enjoy the outdoors you can! Their new glowing product line is the perfect way to get kids out in the evenings and after dark to have fun without all of that sun exposure. Check out all of their Reactorz line of light up products here! My sons really enjoyed the REACTORZ football. The football is made of a thick tough plastic and easy to grip throw and hold. Perfect for practicing catches in my opinion! My kids love anything that lights up and glows so this was a huge hit! 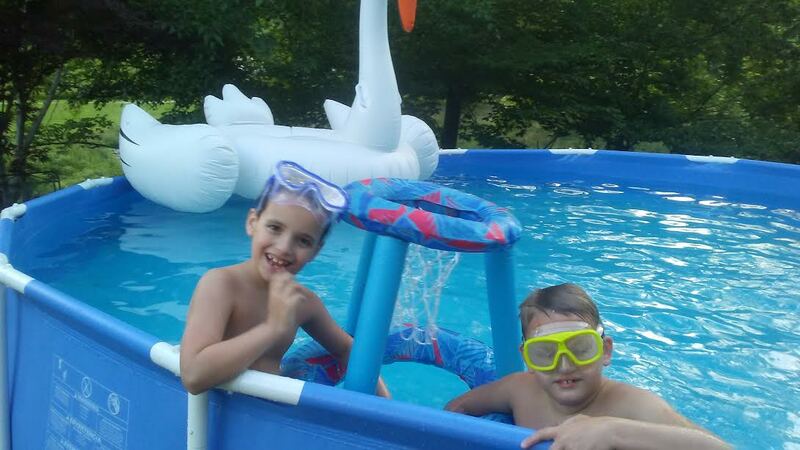 My kids had the most fun with their pool and beach water products though. They thoroughly enjoyed the Hydro Spring Hoops really surprised me. We have bought several different sets of ball hoop games for the pool all of them were a huge flop in one way or another. Some wouldn't stay up and always fell over others were just flimsy and popped fast. The Hydro Spring Hoops is perfect in every way. I can not think of one design flaw from the cloth covering the hoop for easy basket making to the circular bottom and four leg design that holds all sides up so it doesn't fall over it is in my book a perfect kids product. The design is magnificent it is also made of very sturdy thick plastic so it won't pop easy.